Maybe you’ve heard of “The Purge” movies. I haven’t, but from what I hear, they are set in a dystopian future where society has decided that rather than prohibit violence they should channel pent up aggression by allowing it to be unleashed during one 24 hour period once per year. There may be some people in our culture who watch those movies and think that would be a good idea. They might even have their own list of offenders they’d “purge” on those days. 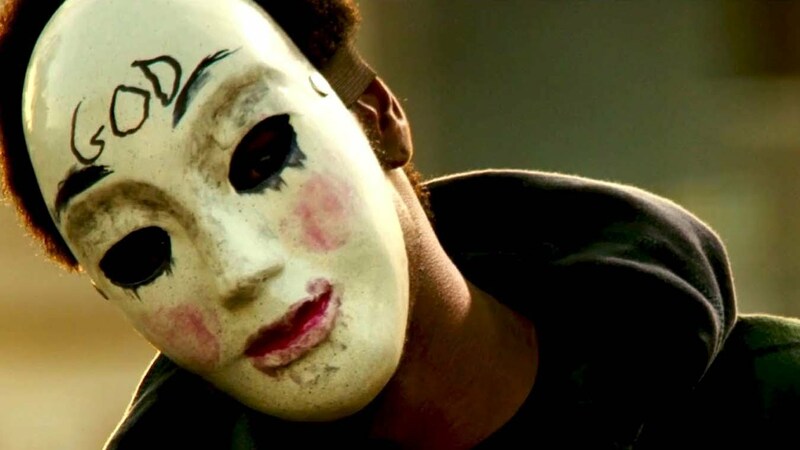 I don’t think we’d ever get to that point (hopefully), but the mindset behind “The Purge” resides in every person. How can I confidently say that? Because, ever since The Fall of humanity, our social ecosystem has been contaminated with an invisible virulent contagion. The scriptures call it “leaven” and it’s baked right in to every family, clan, tribe and nation by default. What is this leaven? It is every individual’s secret disdain for his or her fellow human being. Why do people gossip and slander? Leaven. Why do they plot and undermine? Leaven. Why tell lies white or otherwise? Leaven. Christ in the gospels commands our attention and admiration because he is unleavened. He who could lambast the influential people of his day calling out their hypocrisy, which he called leaven, and then pray forgiveness over those who had crucified him. That’s an unleavened life. Should he have settled for our admiration, he would surely have died of a ripe old age surrounded by loved ones. But he didn’t settle. Instead, he commanded humanity to follow him and yeasty beasts that we are, we tortured him to death in response. How could it have been otherwise? And yet his solitary death has become The Purge we needed. The Purge took place on that hill 2000 years ago and it happens every day of every year for the believer. Every interaction on this contaminated plane can become the medium for the old leaven to grow in our hearts. Every careless act committed against us, every instance of neglect, every moral failure in another person presents us with an opportunity to return to quiet disdain. And once it returns it begins to spread, puffing us up. We resort to that broken narrative, “Hey, I’m not perfect, but at least I’m superior to most other people.” Oh damnable, lethal lie! May all those who hope for a coming eutopian world purge it today and so be fit for an unleavened environment. According to Paul, the ironic way we participate in the purge isn’t by stuffing our hurts or denying sin in others but rather by honestly confronting the problem. Note in the Corinthian passage, the call was not for that church to hide their brother’s sin but to honestly confront it. The unleavened bread isn’t denial but “sincerity and truth.” That’s the character of Christ. Those are the consistent attributes the of one who could offend so many while loving them so perfectly. Make no mistake, there is nothing more dangerous on every level than an uncushioned, unleavened existence in this hostile world. There also is no other means of fixing it.